Inspired by Artwork for the #31DC2016Weekly - Polish Etc. For this week's prompt for the #31DC2016Weekly, we are doing manicures inspired by artwork. They can be famous artwork, local artwork, paintings, sculptures...anything artsy. 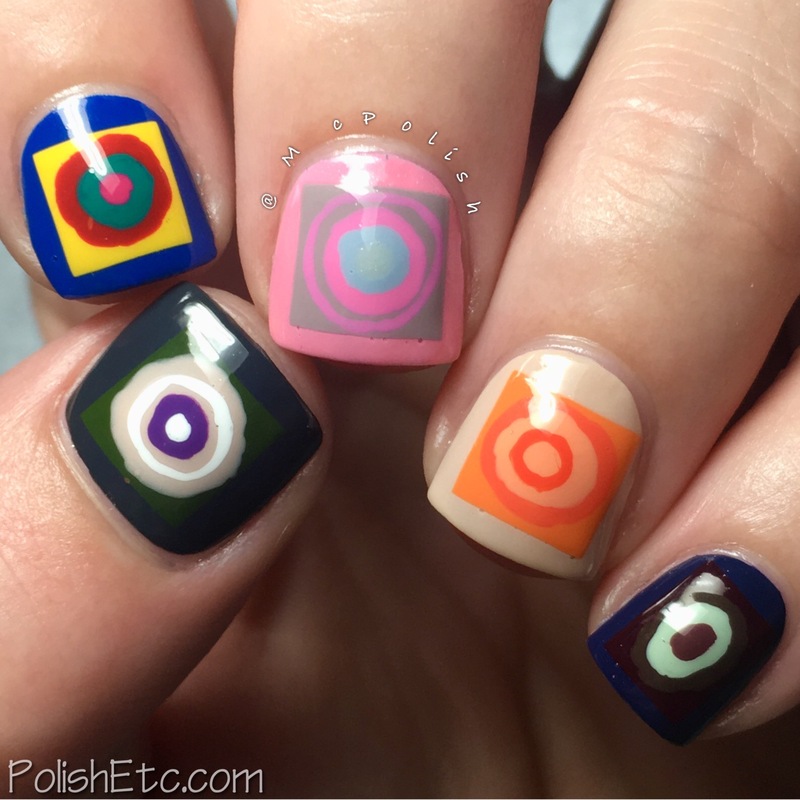 My inspiration is a famous piece by Wassily Kandinsky called Squares with Concentric Circles. It is an abstract painting with concentric circles in a grid of squares. I bet you couldn't have guessed that based on the name of the piece. Ha! I have always been a fan of abstract art and this seemed like an easy piece to recreate. The circles are sloppy and I am really good at sloppy. This manicure was created entirely with Zoya nail polishes. I have so many of them! I painted the circles onto my UberMat to make a decal of sorts. Once they all dried, I peeled them off of the mat and cut them into squares. Then they were each places on the nail over a base color and topped with a glossy top coat. Easy peasy! 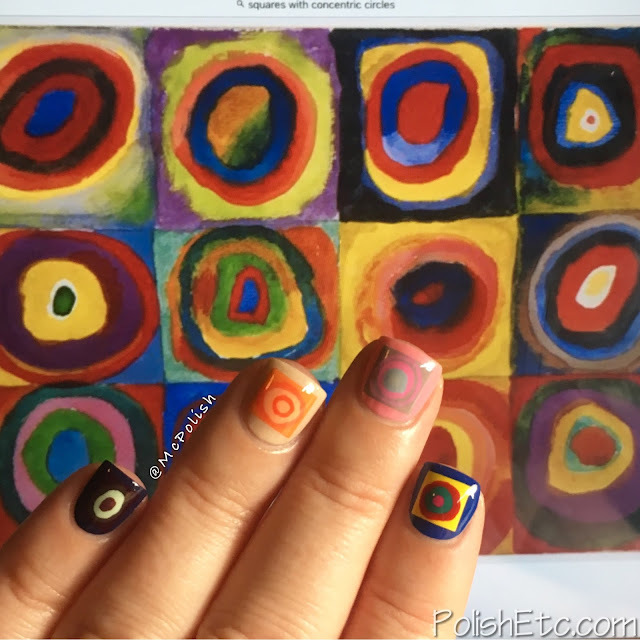 Here is my manicure against a photo of the original painting. They aren't exactly like the painting but it is completely inspired by it. I am happy with how these turned out! We are in the last month of the weekly challenge! 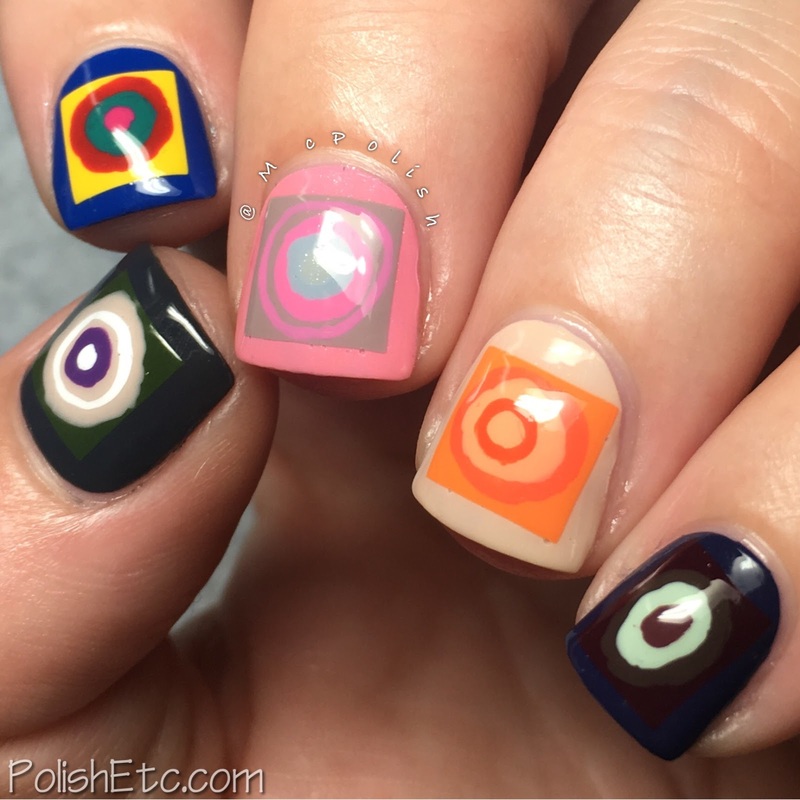 This week, the rest of the nail art world started the traditional 31 Day Nail Art Challenge. 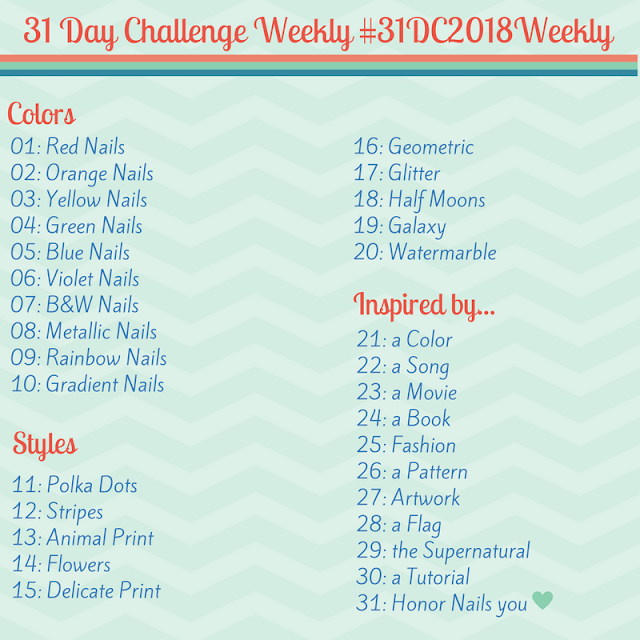 You can see all of the weekly challenge participants by following the #31DC2016Weekly tag on Instagram, Twitter and Facebook. If you want to scope out the daily challenge participants, just use the tag #31DC2016. So much fun!